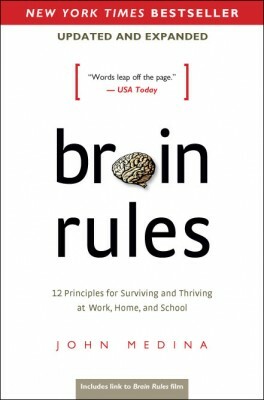 John Medina’s book brain rules: 12 Principles for Surviving and Thriving at Work, Home, and School was not what I expected. After reading so much about diet and the effect on growth, learning and happiness – I guess I was stuck in that mold. 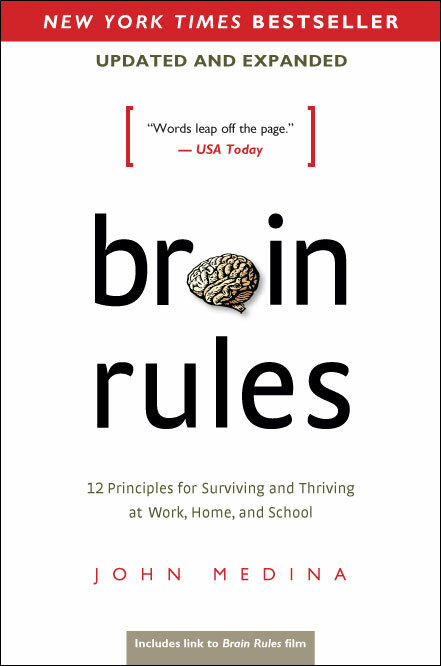 brain rules instead takes a look from a developmental standpoint and examines what environments best serve a productive brain. Medina is a developmental molecular biologist and in this book, he tears down some popular beliefs when he states that our current school environment is possibly the worst setting for learning. He claims that there are 12 rules which when followed are the key ingredients to a fully developed brain. 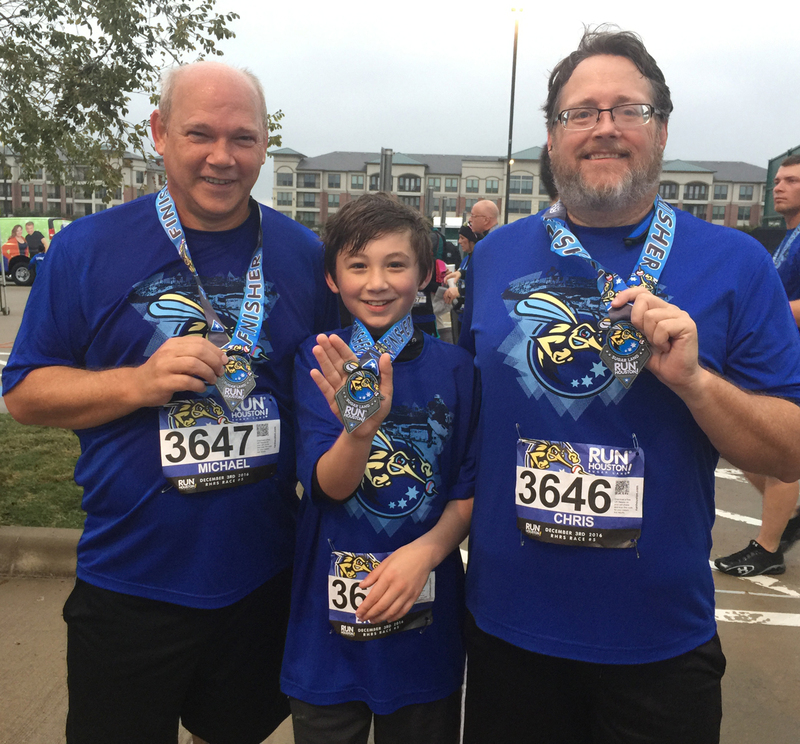 The big one he starts with is #1 Exercise Boosts Brian Power. When you exercise, your brain is bathed with a chemical called BDNF that is like Miracle Grow for your brain. Another one that I found intriguing was the single biggest indicator of success in academics was not exercise, not getting enough sleep, but growing up in an emotionally stable environment. The takeaway is that teaching your child French before they are 2 will not make him a genius, going home and loving your husband and/wife will! This is not only a really good read full of interesting information, but will remain on my bookshelf as a resource. 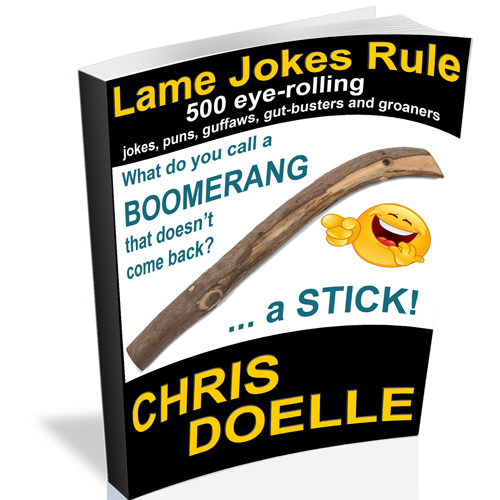 It is a book I will refer back to. Finally, I have some scientific support to my assertion that I need a standing desk in my new office… now I’m considering a treadmill desk. Give this one a read!